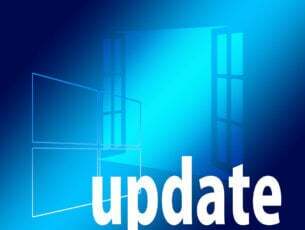 Digital trading card games (TCGs) have considerably expanded the card game genre on Windows. Those are games in which players expand their card collections and create customized decks to battle it out with. They were originally tabletop games, but publishers have taken them onto the Windows platform and turned them into online multiplayer games that add a new dimension to TCGs with campaign maps, 3D battlefields, stunning graphical effects and regular tournaments. These are some of the best Windows 10 card games for desktops, laptops and phones. Order & Chaos Duels is one of the biggest trading card games on the Windows, Windows 10 Mobile, Android and iOS platforms, which is based on the Order & Chaos Online MMORPG. It’s a free trading card game app you can add to Windows 10 by pressing the Get the game app button on this web page. This game is partly inspired by World of Warcraft as it contains characters, equipment and fictional universe elements that are similar to those in WoW. Order & Chaos Duels has three fast and engaging gameplay modes for players to battle it out on. You can play through a single player campaign that has a variety of linear maps, in online ranked battles or set up custom matches by choosing the race and class of opponents. It includes almost 300 cards for you to collect. The game has great graphical quality with some spectacular effects during duels and detailed animations. 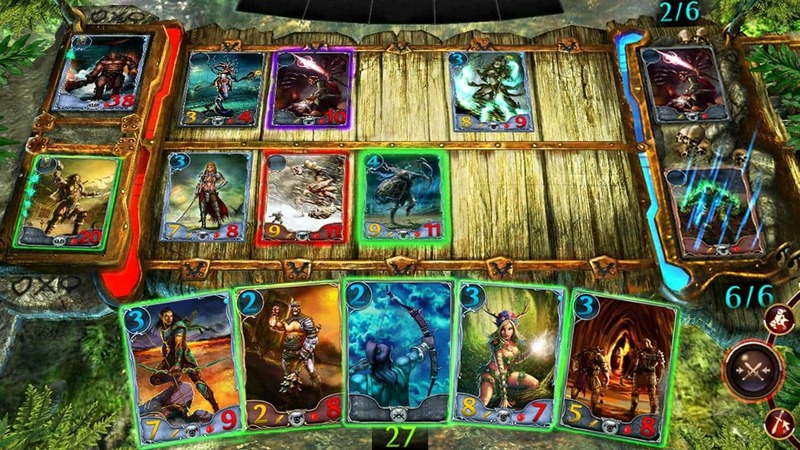 However, its deep content and strategic gameplay, which incorporates numerous deck strategies, are what really set Order & Chaos Duels apart from run-of-the-mill card games. The expansion of the digital TCG genre has much to do with Hearthstone: Heroes of Warcraft that revolutionized the card genre. This is the foremost trading card game that’s set in the World of Warcraft universe. 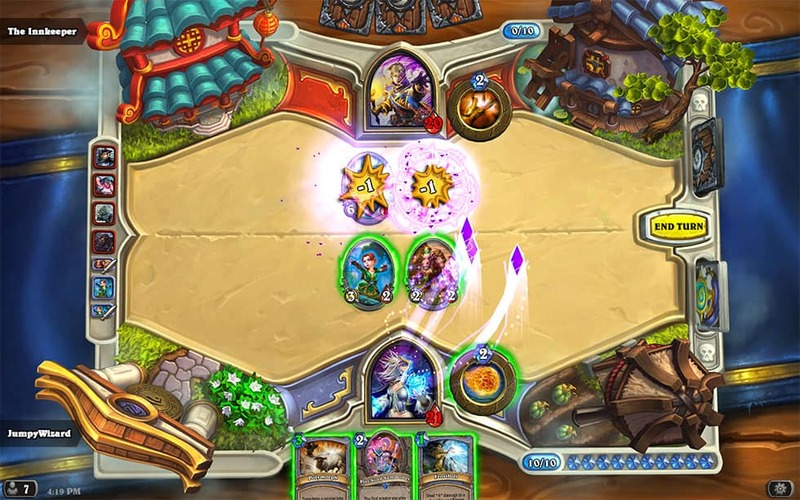 A SuperData research manager stated: “Hearthstone changed player expectations. Users now expect deep gameplay in mobile titles and want the ability to share the same account and cards across multiple devices.” You can play the game on various devices without any subscription fee required by downloading the Hearthstone client installer to Windows from the Heroes of Warcraft website. In Heroes of Warcraft players battle it out with decks of Minions and Spells to defeat the opponent Hero. You can play in classic or ranked PvP multiplayer games or a single player Adventures mode against the AI. 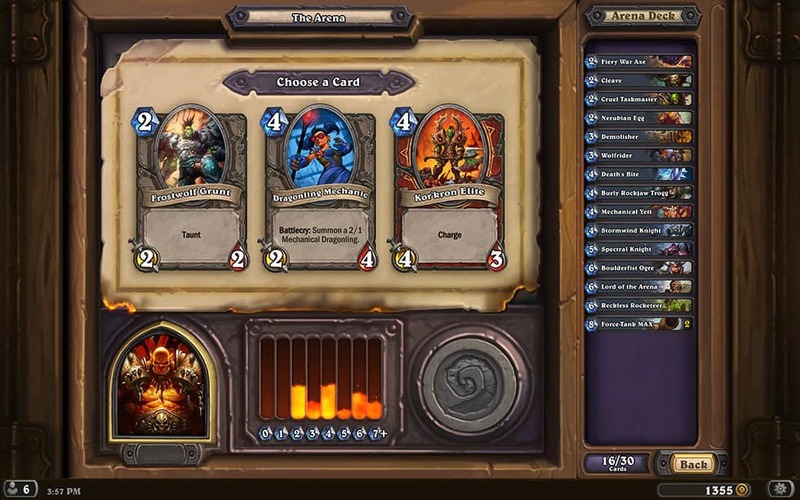 The game includes a richly-rewarding Arena mode in which players select to play with one of three classes and then build up decks from randomly selected cards. Plus some can also play in the Hearthstone World Championship Tour for the game’s World Champion title. Heroes of Warcraft has fantastic fast-paced gameplay, well-organized deck building and some great sound effects with in-game speech and atmospheric music. It also has one of the best free-to-play models with Quests that offer variable amounts of gold for you to get new card packs with. With that in-game purchases for new card games aren’t essential. So Hearthstone: Heroes of Warcraft offers terrific value and goes from strength to strength with new expansions and updates. 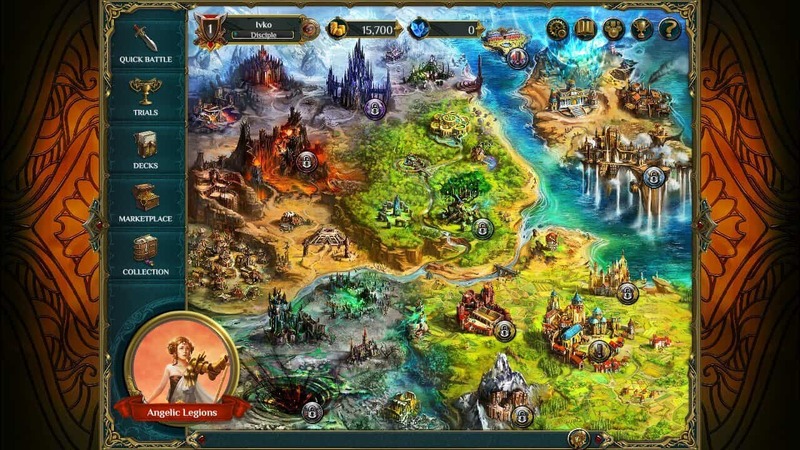 Start Realms was originally a tabletop card game that now has an app for desktops, laptops, tablets and mobiles. Unlike a lot of the games in the genre, Star Realms has a futuristic sci-fi theme with spaceship cards and alien factions. This game is compatible with Windows, Mac OS, Android and iOS. The full version of Star Realms is retailing on Steam at $4.99, but you can try out a demo of the game. The full version also has various expansion packs that give you new types of cards, ships and bases. 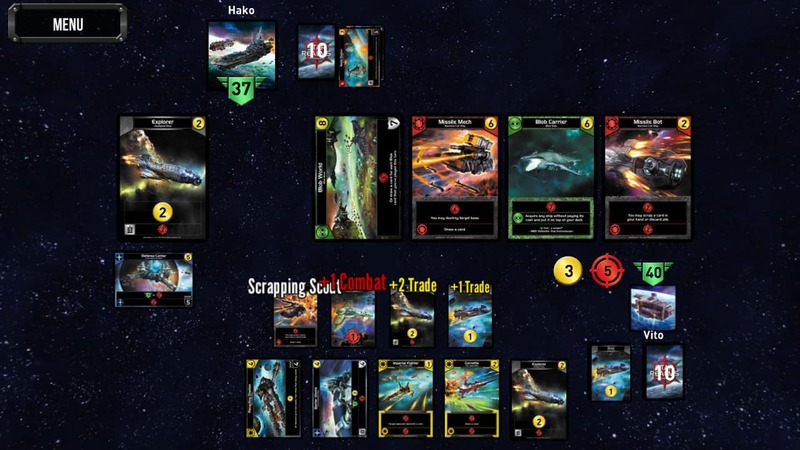 What sets Star Realms apart from other trading card games is its deck-building mechanic. Instead of building a deck before the game starts, in Star Realms you build up the deck during the course of a game. In that respect, it’s similar to the Ascension TCG; but the gameplay in Star Realms is much faster, which makes it more exciting to play. Star Realms has an immersive story-based single player campaign that puts you at the center of an intergalactic war. The campaign missions alter the core gameplay with modified setups and game rules. You can also play AI opponents one-on-one outside the campaign or battle it out online in open matches. In addition, Star Realms has a unique Pass and Play mode in which you can play against somebody else without a web connection. The game also has some great card artwork and an effective UI design that’s ideal for all devices. Hex: Shards of Fate combines RPG elements with strategic trading card gameplay to almost establish a new genre. However, it’s also akin to Magic Duels (the latest incarnation of the The Gathering) to such an extent that Wizards of Coast filed a copyright lawsuit. Nevertheless, Shards of Fate is a little more than a Magic Duels clone as it has spectacular effects, extensive campaigns and more customizable cards. This Kickstarter game is freely available with a starter pack that includes more than 200 cards, and you can save its installer to Windows or Mac OS from this web page. Shards of Fate has an engrossing PvE single player campaign mode that’s effectively a trading card RPG in which players are given quests and explore dungeons across world maps. For campaigns, players can create and customize their own champion character from eight different races and four classes. The most unique aspect of Shards of Fate is undoubtedly its socketed cards that enables players to customize cards with gems that enhance them in various ways. Furthermore, the PvE campaigns include a variety of weapon, armor, helmet, gloves and trinket equipment for players to collect and equip their cards with. 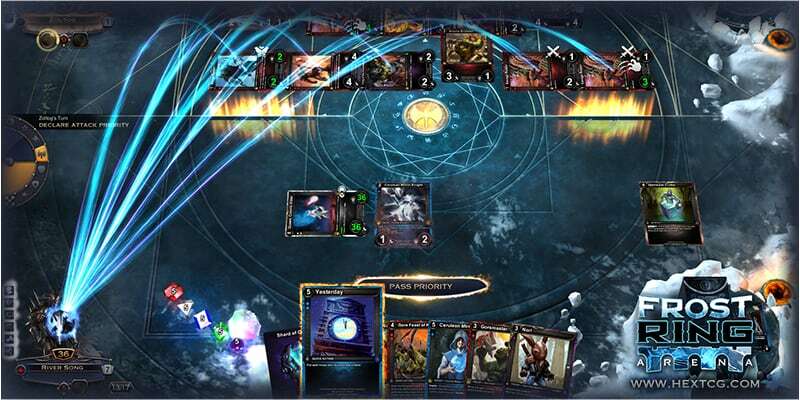 Shards of Fate also includes the Frost Ring Arena, which is rendered in 3D with frost animations, where players battle through 20 AI opponents with a preconstructed deck. There are also various alternative play modes for online PvP games. Players can take on random opponents in F2P casual matches. Or you can select to play in constructed deck, sealed deck and drafting modes among other game formats. Hex: Shards of Fate has myriad daily online tournaments and greater championships. Players need to invest in $2 PvP booster packs to play in the tournaments, but they do offer fairly substantial prizes. Furthermore, Shards of Fate also has an Auction House where you can obtain booster packs for tournaments. Overall, Hex: Shards of Fate offers a wealth of exciting content, and you can still expect plenty more updates and expansions for a game that has only recently stepped out of beta. Spellweaver is a TCG with gameplay comparable to Magic: The Gathering, which isn’t entirely surprising given that a Magic National Champion provided some design input for it. However, Spellweaver also has some innovative game mechanics and design elements that give it more strategic depth. This trading card game is exclusively for Windows, and you can download the client software from this page. Spellweaver has stunning visual presentation with some great card art that perfectly fits the game’s magical fantasy theme. It has super smooth, detailed and colorful graphics. The game even includes a 3D animated background with a board that opens and retracts when the battles start and finish. Spellweaver has an interactive combat system for more flexible gameplay, and alternative win conditions add more variety to battles. The game includes multipurpose resource Shrine cards that replace the more traditional single resource system in trading card games and further enhance the gameplay’s flexibility. This TCG is probably geared more for PvP matches, but Spellweaver still has a map for single player quests and other PvE events. In addition, it also includes a Trials drafting mode for players to take on the AI and build up their card collections. With sublime graphical quality and intuitive gameplay, Spellweaver is certainly a freemium TCG you should check out. So forget about Poker, Solitaire, Hearts and Spades, TCGs are the best card games for Windows 10! 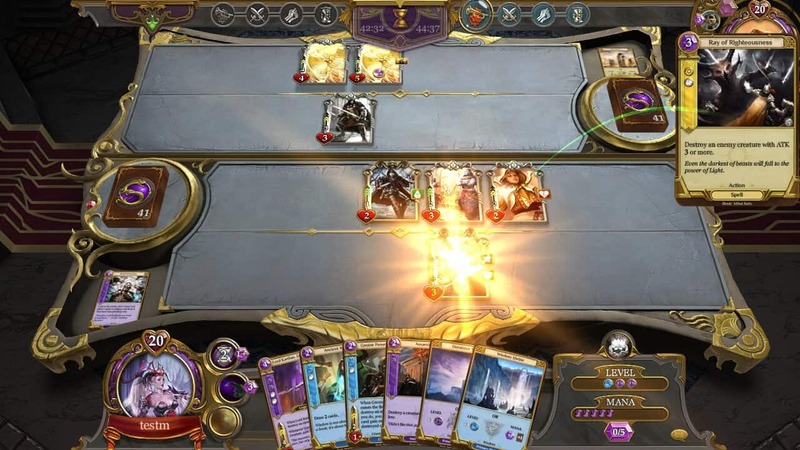 Spellweaver, Shards of Fate, Star Realms, Heroes of Warcraft and Order and Chaos Duels are a few of the TCGs that shine in an expanding digital card game genre. If you’ve never played a trading card game before, those are some of the TCGs you should check out first.